Italy is jam packed with mouth-watering food and the sound of a truly beautiful language can be heard everywhere. 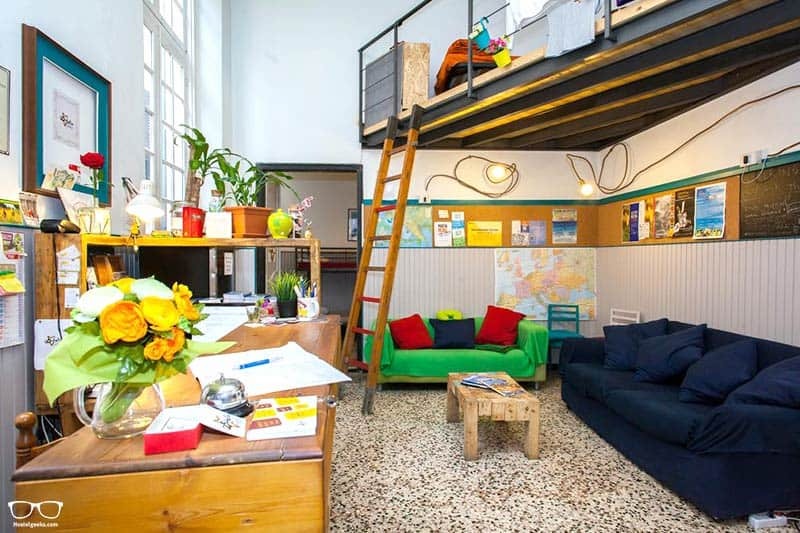 Before all that, we want to share with you the best hostels in Italy. From the waterways of Venice to the exquisite Duomo di Milano in Milan, and of course the Colosseum in Rome. All of Italy’s main destinations are covered in this helpful guide. 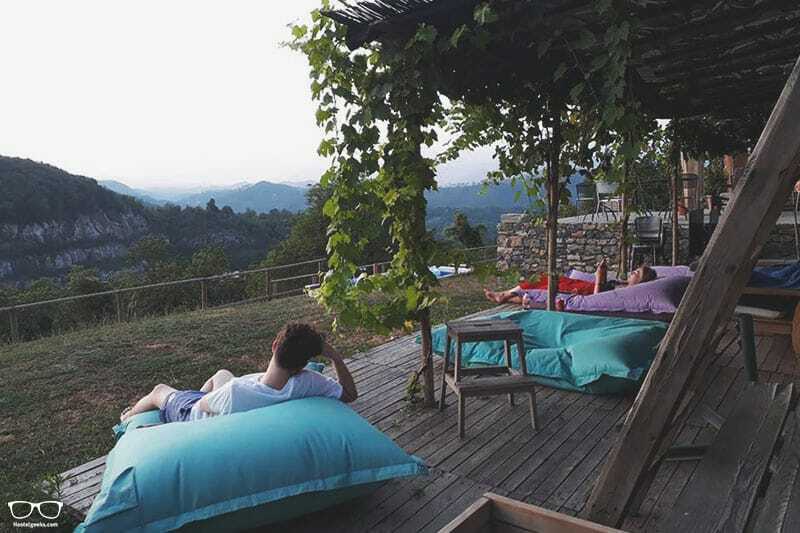 Are these the best Hostels in Italy? 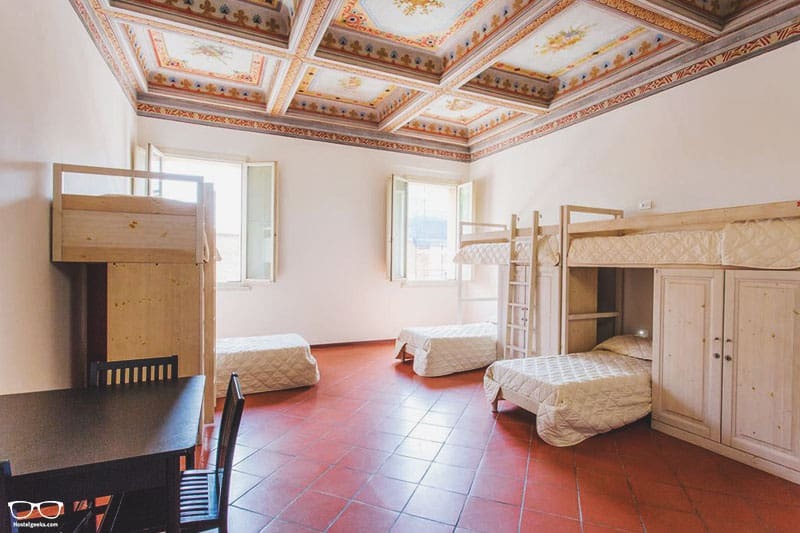 The quality of hostels in Italy varies a lot. 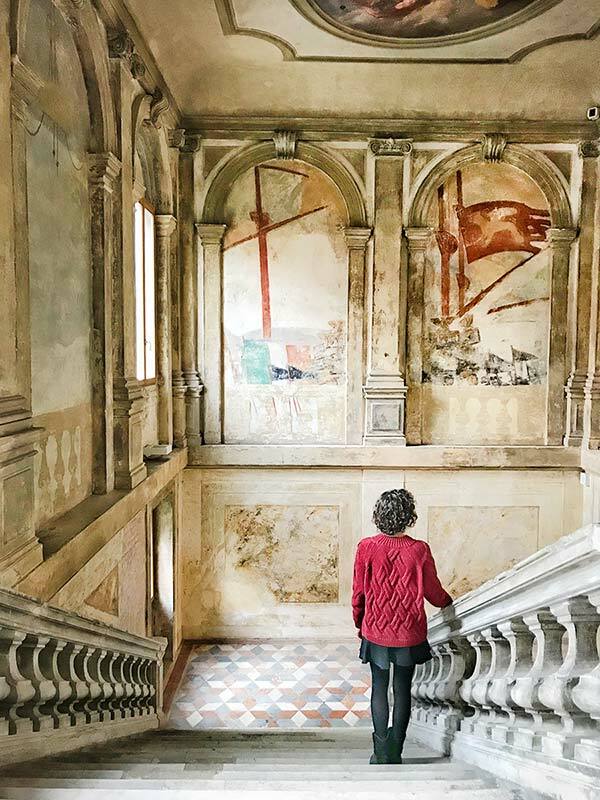 You can find really worn-out, old hostels up to absolutely incredible places like WE Crociferi in Venice. It is a former Monastery – just gorgeous! 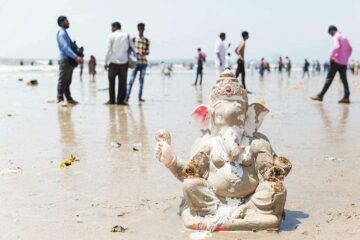 In this list we give you a wide range of hostels; from 5 Star Hostels to Backpacker and Party Hostels. All are great, clean, fun, cool! Just choose the right hostel for your own travel style. Make sure you check out the hostel map at the end of this article. It’s helpful in figuring out where exactly your chosen hostel is located. 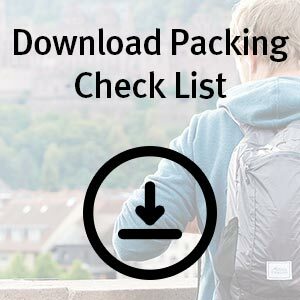 Alongside that, you’ll spot a super useful hostel packing list so that you don’t forget any of those travel necessities. 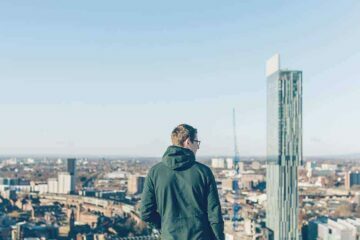 If you’re looking for a certain city, check out the list below to head straight to that section. 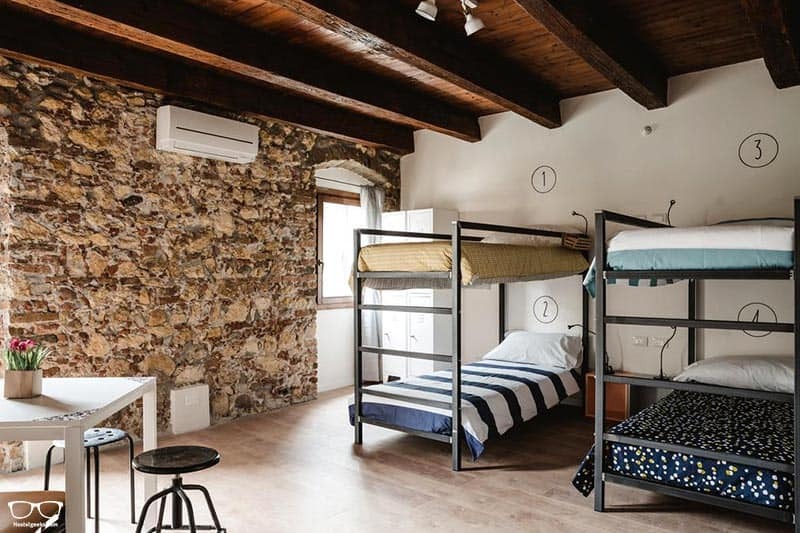 This refurbished loft is suitable for the usual backpackers as well as families and older travellers. It’s easily accessible, located just minutes from Torino Porta Nuova Train Station. It’s the owners that did a great job on the refurbished attic rooms, two of which come with private bathrooms. As you can imagine, the slanted windows let in a lot of light and the wooden beams really add character. Everyone is welcome at the cosy space of Bamboo Eco Hostel. Great care has gone in to minimising the footprint here, including waste controls and a biological breakfast. There’s free flowing tea and coffee all day long – score! Town is 25 minutes on foot, or 10 minutes by bus if you want to save some time. The most famous hostel in Italy? Quite possible. Ostello Bello Lake Como has such a high rating it’s no surprise! Situated right in front of the lake, Ostello is 150m from the train station and close to all the main attractions. 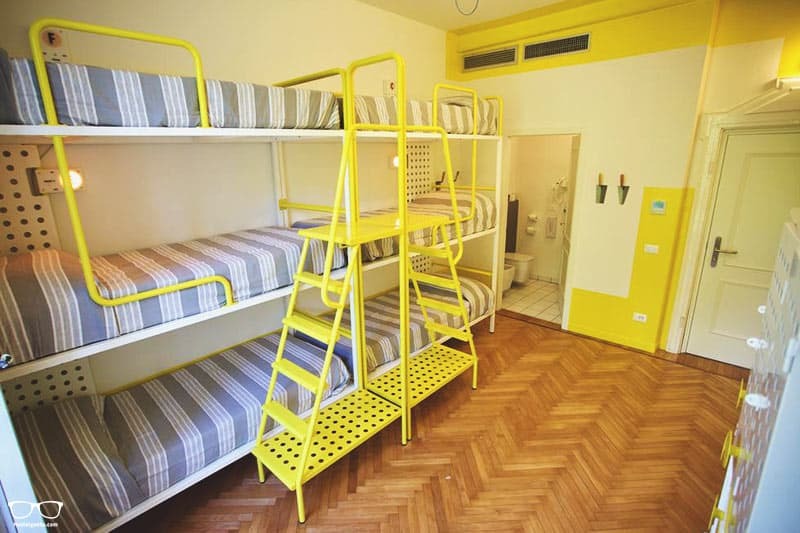 We wrote a full guide to the 3 best hostels in Milan here. This includes one great party hostel you do NOT want to miss! This is the big brother of equally impressive Ostello Bello. However, this one offers everything and more, including a strategic location 100 metres from the Milan central station. It’s a great choice for students as there are plenty of things happening and spaces to meet people. They’ve gone crazy with the word ‘free’ here. There’s everything from free breakfast to free locks and welcome drink. Every detail counts! All travellers will be satisfied with the mixed, female twin and private room options. There is a former police station that has furniture built entirely of recycled materials, and its name is Madama Hostel & Bistrot. 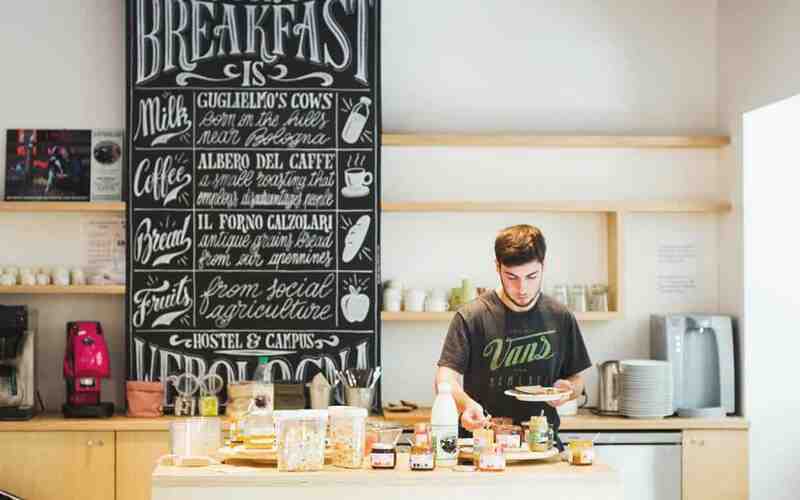 For us personally, this hostel is the best place to stay in Milan on a budget. Decked out with quirky art, colourful decor and splattered with clever design details – it’s a traveller’s ideal chill space. Find a cosy chill-out room with foosball, TV and big beanbags. Madama sounds like home right? Let’s have a sneak peak at the Tudor style building which is home to Babila Hostel. This accommodation is smart design, with a cosy feel. There are only 17 rooms here! There are mixed dorms, female-only dorms, private rooms and a room especially for small families. The common spaces are to die for. Check out the open terrace, on-site bar, gym and lounge area. And yep; there’s a happy hour including cocktails. Woop! If you want to be literally on the shores of Lake Garda, look no further than Campione del Garda Surf House. This is a great option if you’re looking to start/improve your water sports. If not, chill on the terrace instead. We won’t judge you. We suggest you check out the adjacent cafe. A breakfast voucher for this place is given to all guests which is a bonus. Awesome place to relax on the way from Milan to Venice. 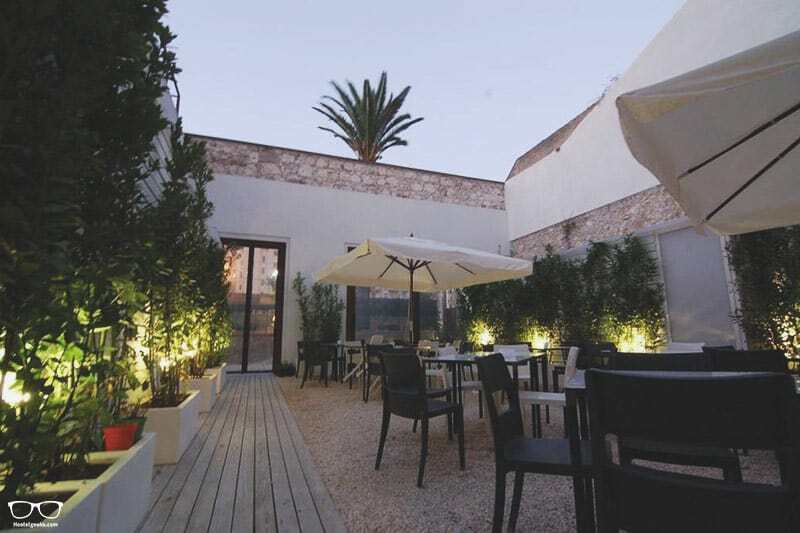 Meet Garda has an amazing roof top terrace, bar and garden. We recommend to rent a bike and/ or boat here to get around. No doubt you’ll enjoy the free flow breakfast. It includes homemade cakes which you’re allowed – you’re on holiday! Located in the south of the Garda lake, just 50 meters from the lake aka. ‘the beach’ and 500 meters from the train station. Rent a boat to visit the towns and their popular markets around the lake. 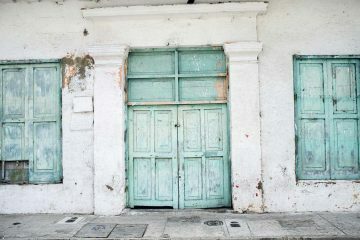 This gorgeous 19th century building meets minimalist furniture and a vintage touch. ControVento is located right by the sea, with access to nightlife right outside the door. But make no mistake, this is not a party hostel. There are 4 rooms and the overall feel is very homely. The staff are friendly and the breakfast is free. Alongside bright, comfortable rooms what more do you need? Did the name give it away already that this is a great choice for students? Not only that, but Student’s Hostel Estense accepts big groups. More than 20 people receive a 10% discount. It’s a great all rounder for those looking for a simple, affordable stay. You’ll have almost everything under one roof including a restaurant, bar, bicycle rental and dining room. We love that there are male dorms alongside female dorms. No sexism here! The lovely faces of The Hostello want to introduce you to the authentic side of this historical city. Enjoy the free breakfast to kick start your day and then consider a day in the Dolomites (so beautiful!) 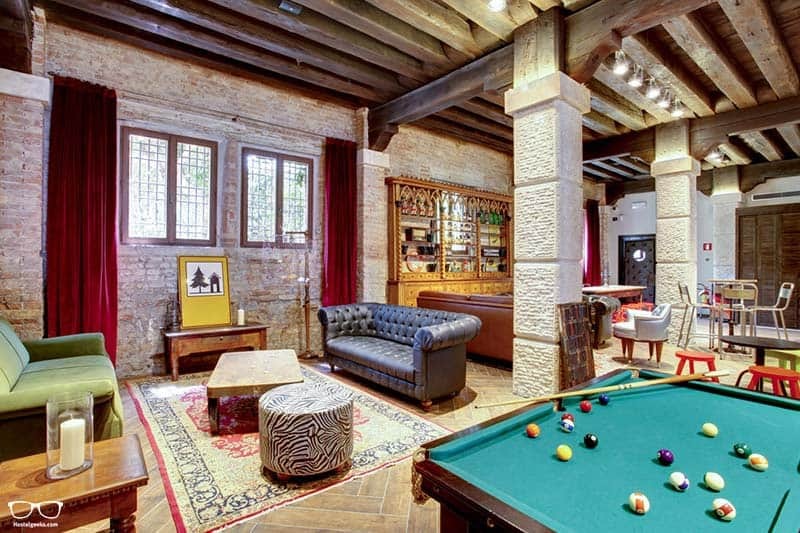 or chill out in the cellar with other guests. Perhaps you prefer reading in the garden. It will take 40 minutes to reach this hostel from the airport, but then you’ll be in the centre and close to all bars, shops and main sights of the city. 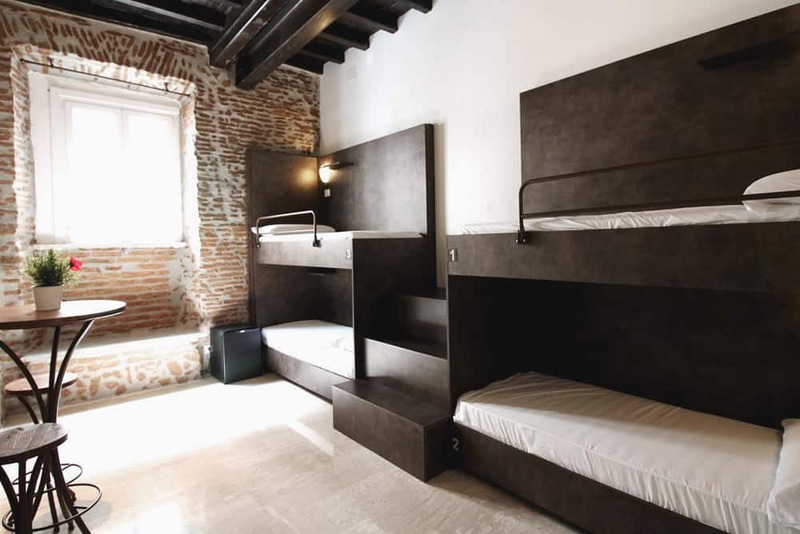 We wrote a complete guide to the best hostels in Venice here. 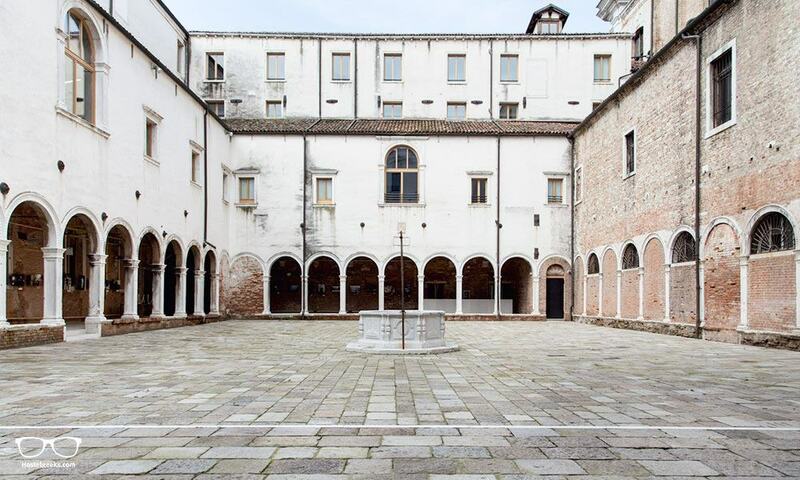 To kick start we have this awesome 5 star hostel housed in a renovated 12-century convent: We_Crociferi in Venice. There are a whopping 255 beds to choose from! With a range of shared dorms, twin rooms and studio apartments, we doubt you’ll need to look elsewhere. Other perks include a communal kitchen, auditorium, study hall and 24 hour reception. We_Crociferi is located in the Cannaregio district, just 15-minutes from St Mark’s Square and around the corner from the district’s nightlife. There’s a lot to explore here at Anda Venice Hostel with over 8 floors and 119 rooms.. all with their own private bathroom! This is certainly a top choice for solo travellers and the ladies looking for a great female dorm. Note: under 16s are not accepted in the dorms here but private rooms (with an adult) are fine. You can also bring a small pet with you! 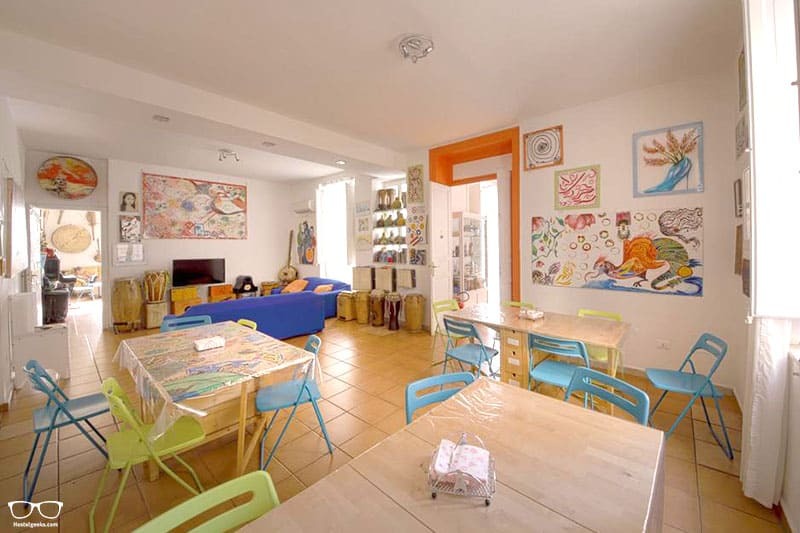 Anda Venice hostel is in a prime location, just minutes from the train station. 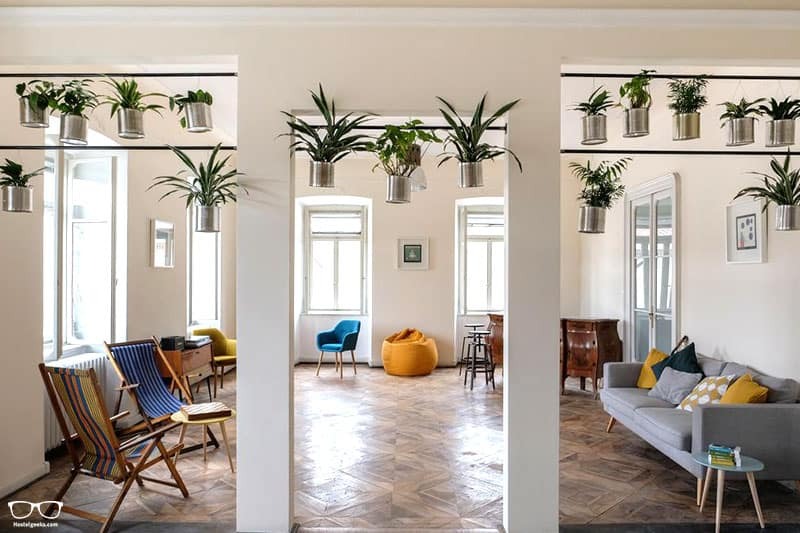 The interior at Generator Hostel Venice is so gorgeous and modern that it’s easy to forget you’re travelling on a budget. We’re talking chandeliers and stone fireplaces! Great private rooms are here at Generator Hostel. Shared dorms are also available from 5-16 beds, female dorm included. Start the day with a buffet breakfast, and end it at happy hour in the bar. 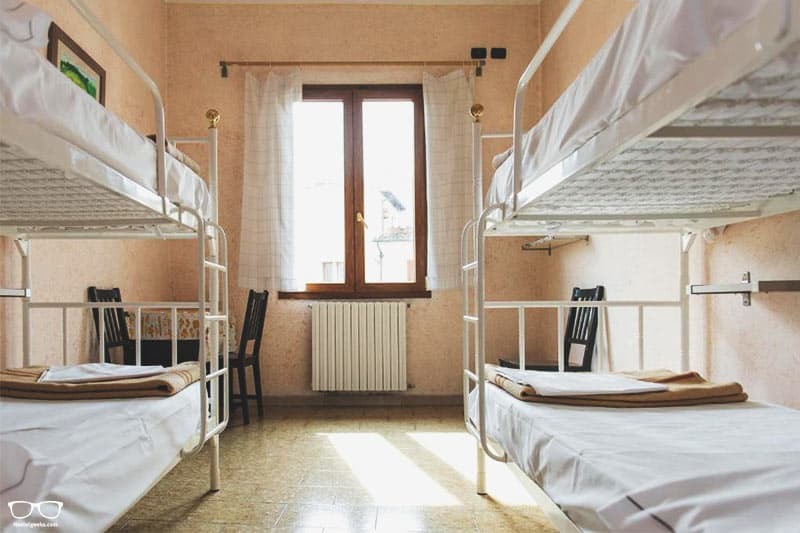 Keen to discover the very best hostels in Bologna? We’ve got a nice surprise for you; there is a 5 star hostel here, too. 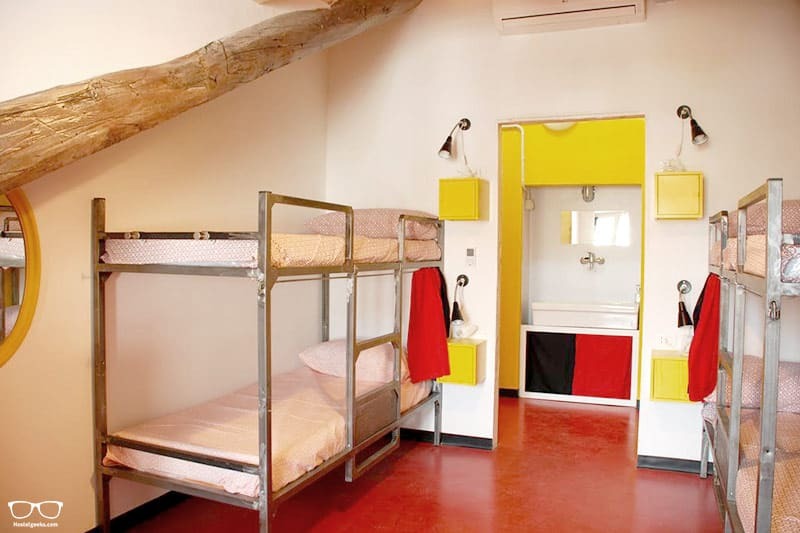 We are keen to share with you the We_Bologna Hostel as the 5 Star Hostel in Bologna! The We_Bologna is part of We_Gastameco Hostels including We_Crociferi in Venice (check best hostels in Venice). Here we have a student’s residence close-by to the old town and railway station. Expect big: there are 244 beds here! Each room has an en-suite bathroom. Win! Make sure of the refreshing outdoor area, great coffee bar and kitchen/breakfast room. Don’t forget to challenge your new friends in the games room, too! Dopa Hostel is made up mostly from iron and wood. It’s 99% handmade! We’re glad to say that dorm beds come with a privacy curtain. Linen is also included and you can access the Wi-Fi from anywhere in the building. Breakfast is free as well as all day tea/coffee and a fully-equipped kitchen. From here it’s no more than a 10-minute walk to all the places you want to get to. We wrote a full guide to the best hostels in Florence here. 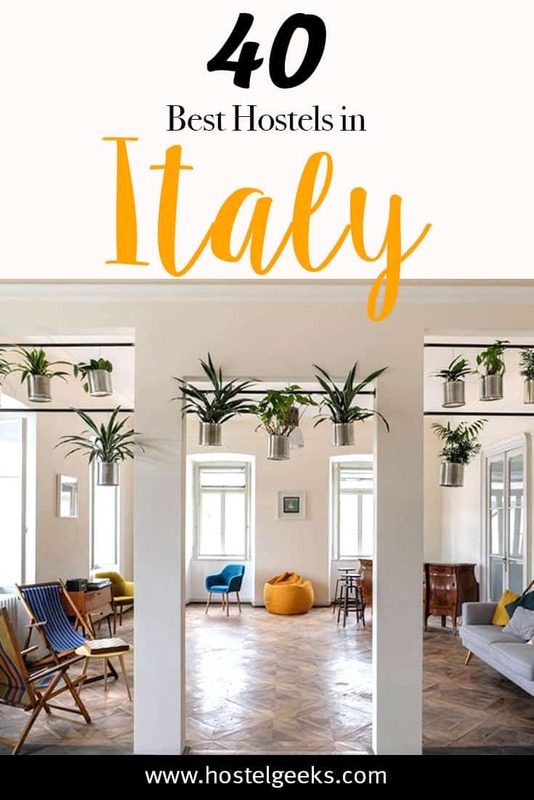 Two charismatic, multi-lingual brothers run the reception of this modern, centrally located hostel known as Archi Rossi Hostel. We deem this a great choice for couples, families and solo travellers. Because? All room types are available. Guess what? You’ll have access to your very own hot tub and sauna. Massages are also available. Try not to faint! 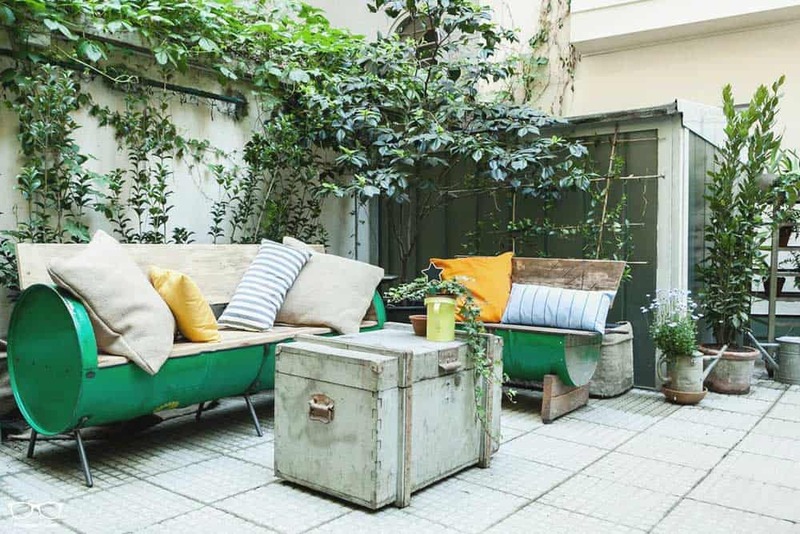 Archi Rossi also has a beautiful garden, common room and terrace space. A buffet breakfast can be enjoyed each morning, too. 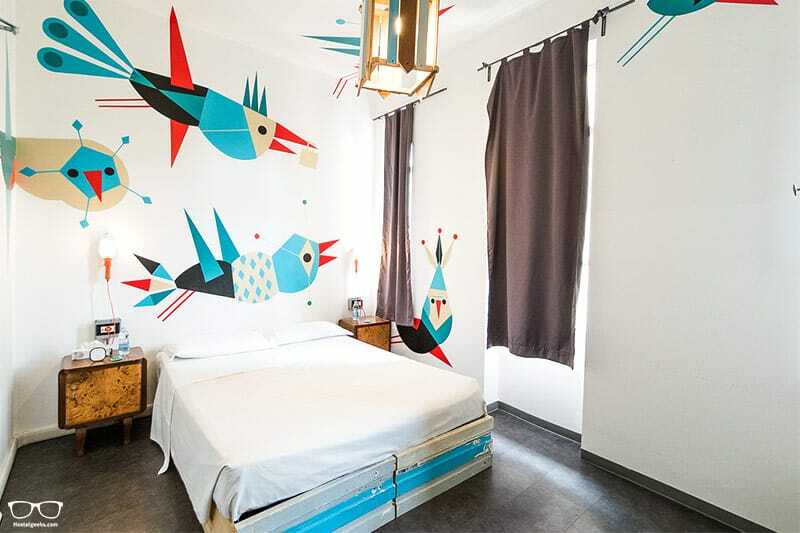 Tasso Hostel is built around an artistic atmosphere in the heart of Florence. Great for those artsy travellers out there! Rooms include 1, 2 and 3-bed options, plus a ‘marital’ suite for cuddly couples. For those of you seeking new pals, book a bed in the 6-bed dorm. Linen, towel and reading light are included. There’s a lovely on-site cafe and bar. Not forgetting a lounge area, all-you-can-eat breakfast and 24-hour reception. You’re welcome. 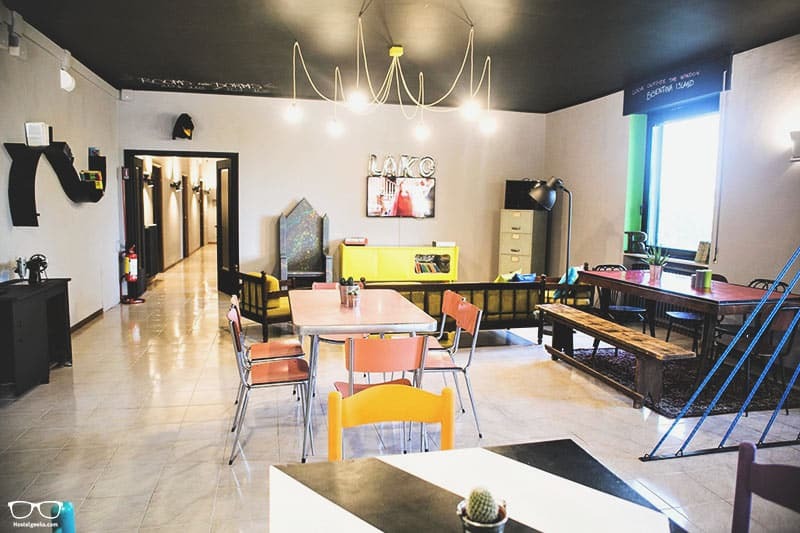 PLUS Hostel has style, fun vibes, comfort and savvy staff all rolled in to one. Oh and we shouldn’t forget the swimming pool! This is THE choice for solo female travellers. Female only dorms are designed with extra comfort in mind. Little home comforts include a vanity mirror, large en-suite bathrooms and big fluffy pillows. Other enticing perks include a bar, cafe, restaurant, sauna AND panoramic terrace. Don’t waste time, book below. 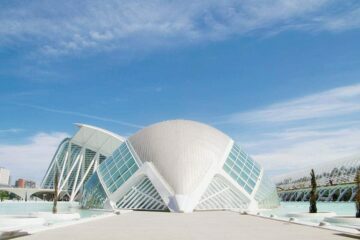 The building = wow! Ostellin Hostel is located in a marvellous and characteristic building. Its ceilings are covered with frescos and the apartment is completed with typical mosaic Genoese marble floors. There is even an original fireplace in the kitchen and large windows for natural light. 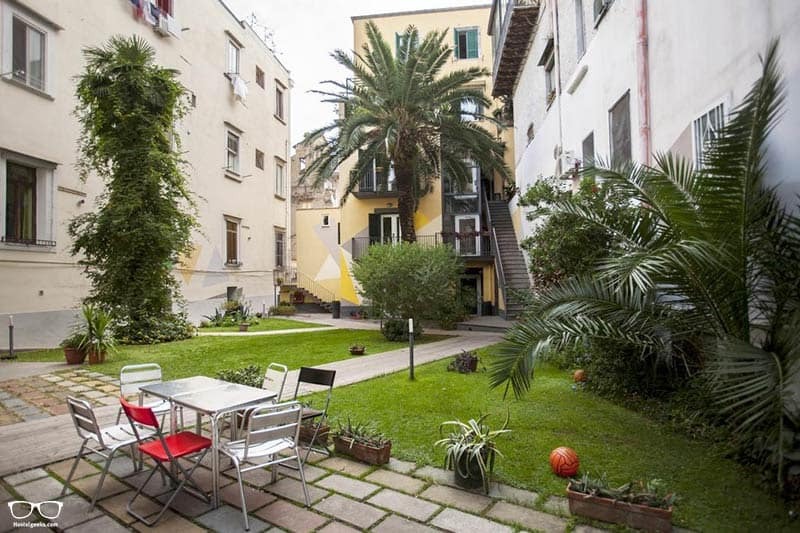 Historic city centre, 2 min walk to the central square and popular Piazza De Ferrari. Within an easy walking distance to the main attractions. Another option is Airbnb. Some of the listed properties in Cinque Terre come with magnificent views. 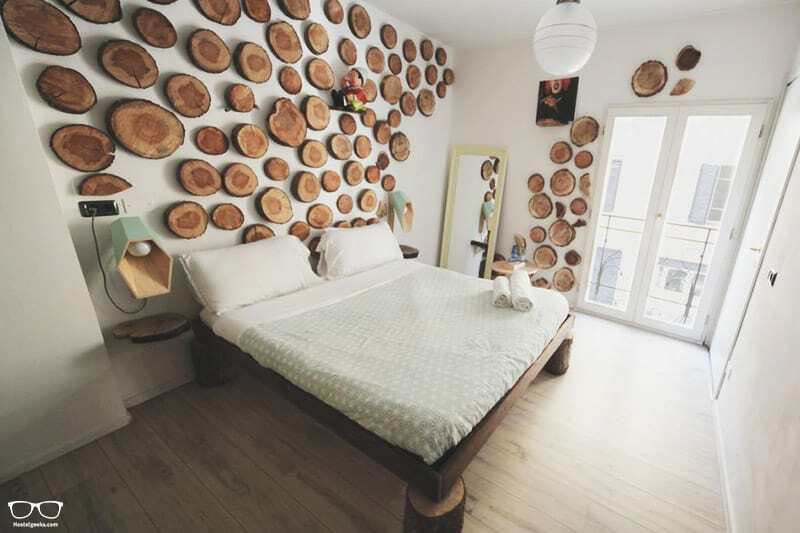 Find our 35€ Airbnb discount here. 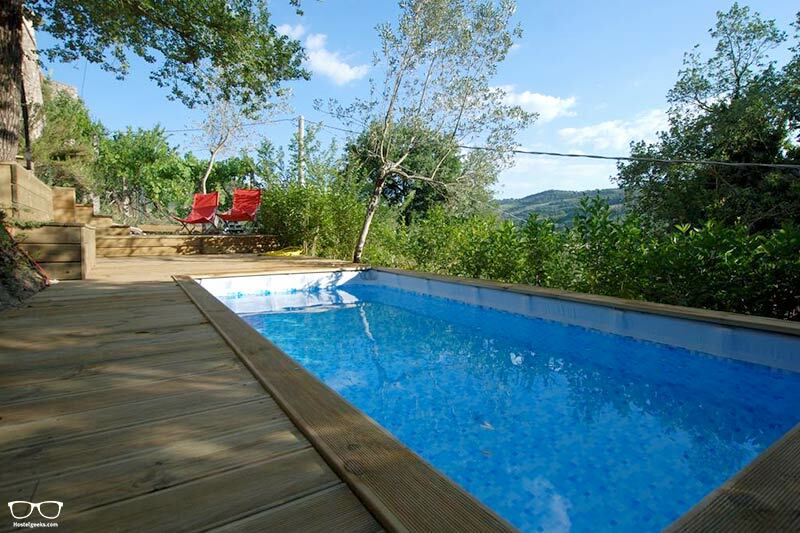 Just a stone’s throw from Cinque Terre National Park, 5 Terre Backpackers is the ideal choice to enjoy nature. 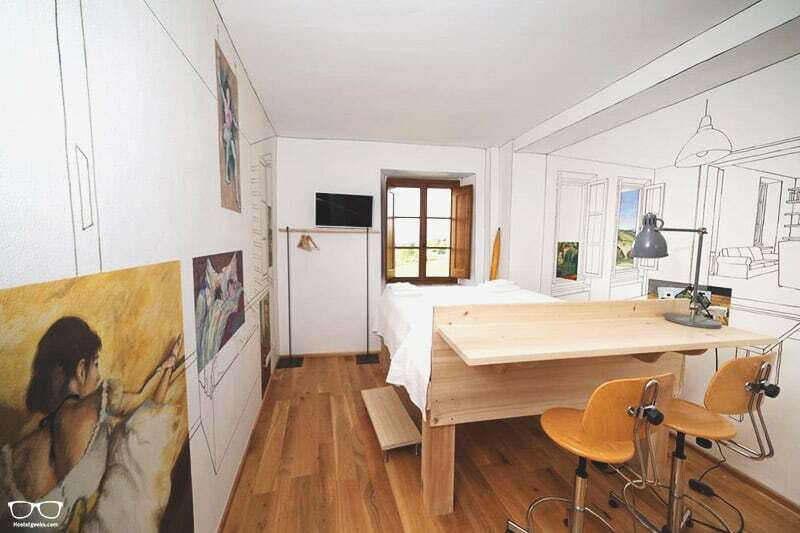 It’s within an ancient stone-walled building in the quiet village of Corvara. The best bit has to be the large patio out front, with panoramic views of the mountains. Breakfast is included and there are often events such as BBQ and pizza nights. Here we have a relatively small hostel offering 50 beds, and private bathrooms in each room. 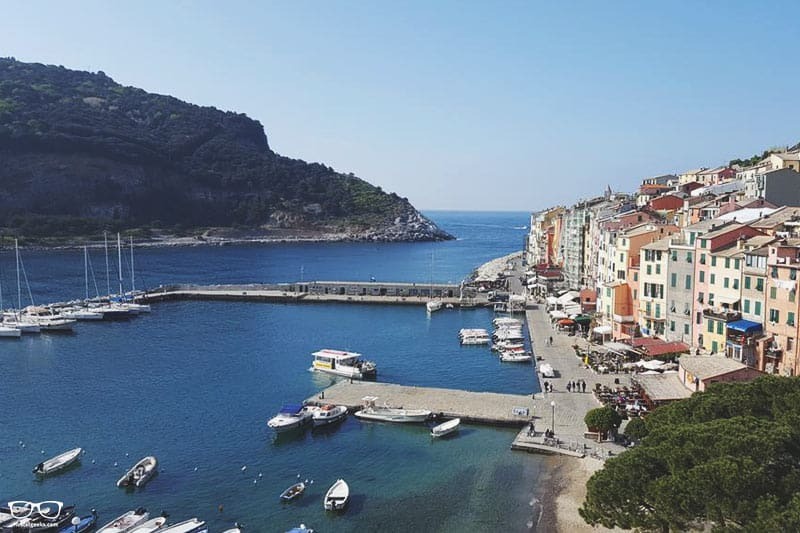 It’s the location that gives Ostello di Porto Venere the edge. The beginning of the trail to 5 Terre National Park is right outside the hostel. The historic centre and bus stop are just 50 metres away. Let’s be completely honest with you (no change there): there is no nice hostel in Pisa worth mentioning. Instead, we recommend staying in a great hostel in Bologna and taking a half day trip to Pisa. Aside from the tower, there isn’t a great deal else to see. 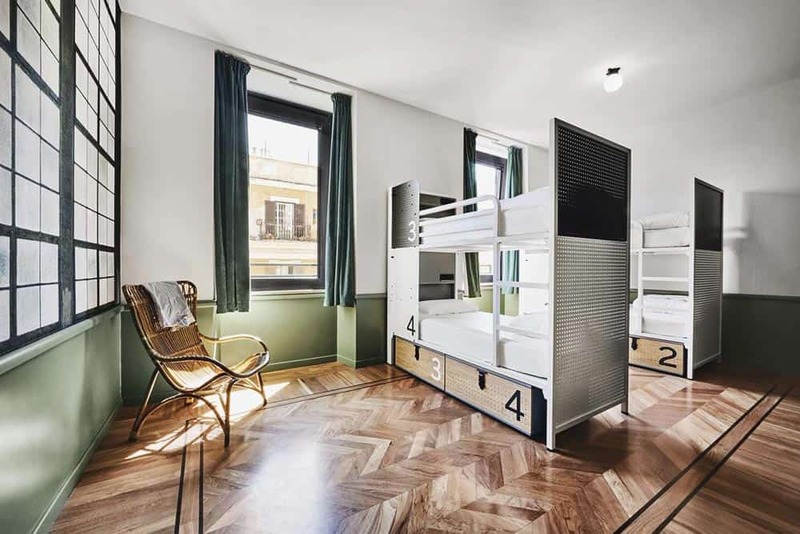 So no need to spend money on crappy accommodation when you could stay at the fantastic 5 star hostel We_Bologna instead. Live, love and lake at Lako Hostel. 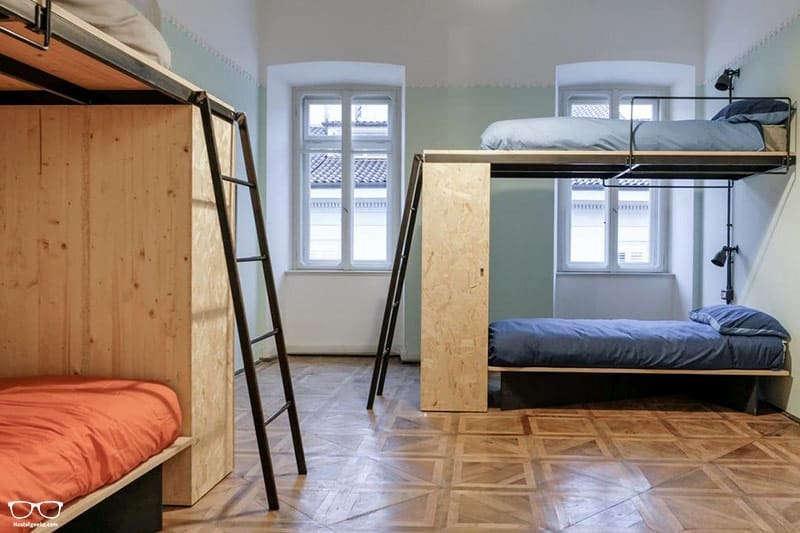 This new generation hostel has combined vintage, design and creative recycled items. And it looks great! All rooms are certainly superior, and we particularly like the private option. A great choice for travelling couples. Yet it’s the shared spaces that really stand out. Take advantage of the TV room with sofas and a large terrace. There are even tables for the digital nomad to work on comfortably. Ostello Bello Assisi Bevagna is perched on a hill in the Umbrian countryside, in a medieval village, no less. The rooms are seriously homely and spacious. You’ll want to snuggle in the thick, cosy duvet all day if you’re not careful. What’s pretty cool is this hostel is split in to several different buildings scattered through the village. Access is granted at all times to the kitchen, outdoor garden with pool and chill area. Enjoy your free breakfast in silence as you gawp out over the valley of Assisi. Lovely. As many of you contacted us asking where to stay in Rome, we decided to put together the best places to stay in Rome. 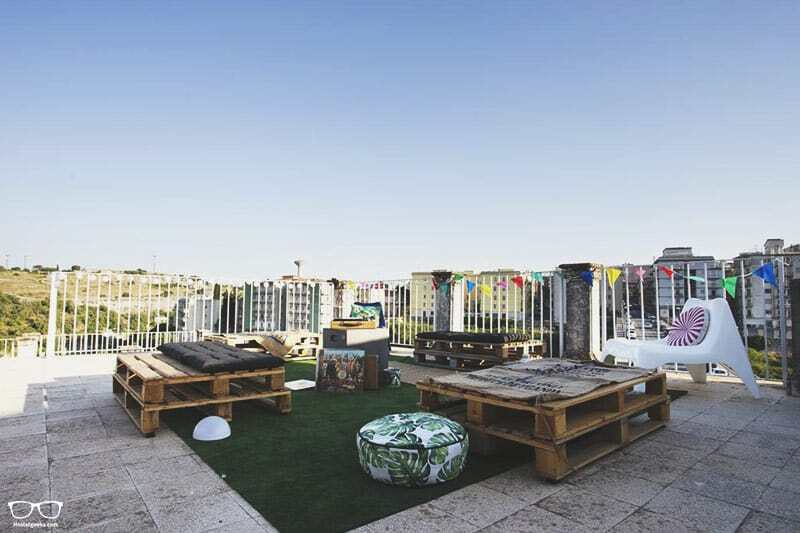 Looking for great party hostels in Rome? 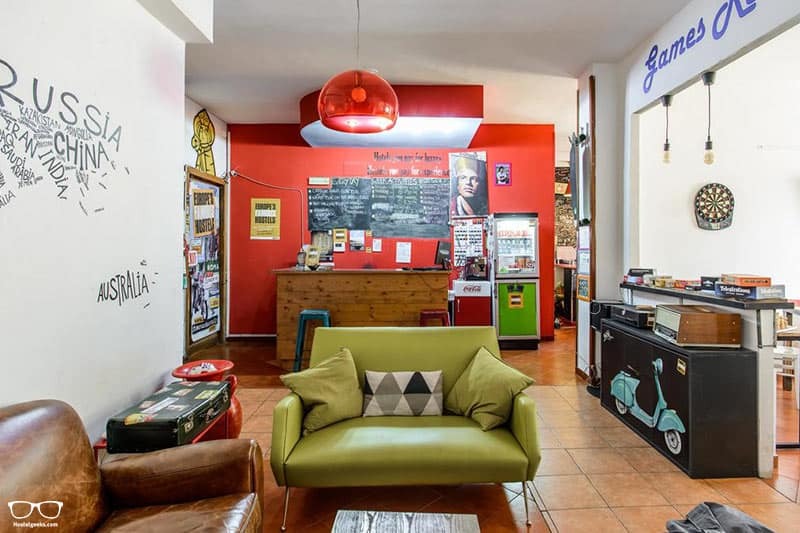 Have a look at our full guide to the best hostels in Rome here. 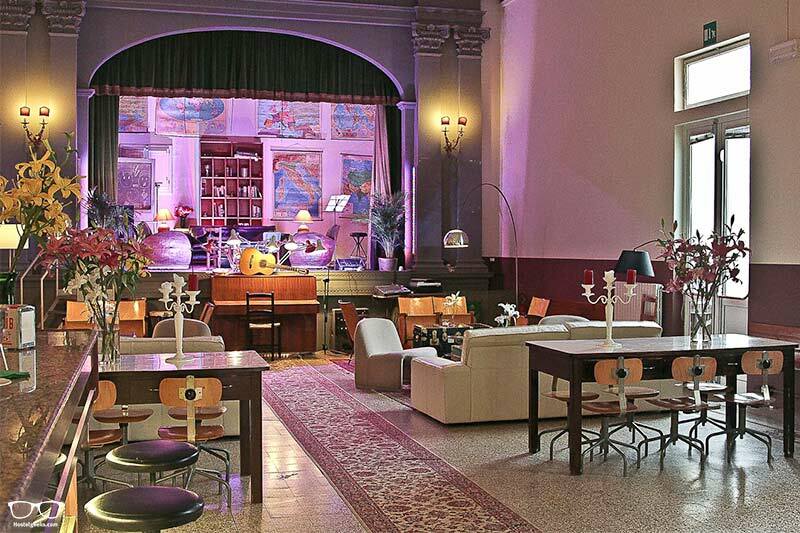 Generator Rome is certainly the #1 choice – it’s located in a 19th century building, for one thing. Secondly, you can choose from among 78 shared and private rooms that are tastefully decorated. 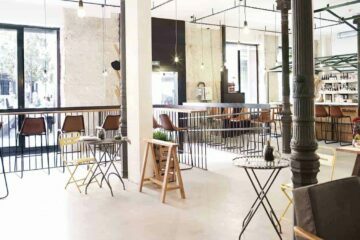 The Bricks opened its doors back in 2016 in a wonderful location in the local Valle Aurelia neighbourhood. 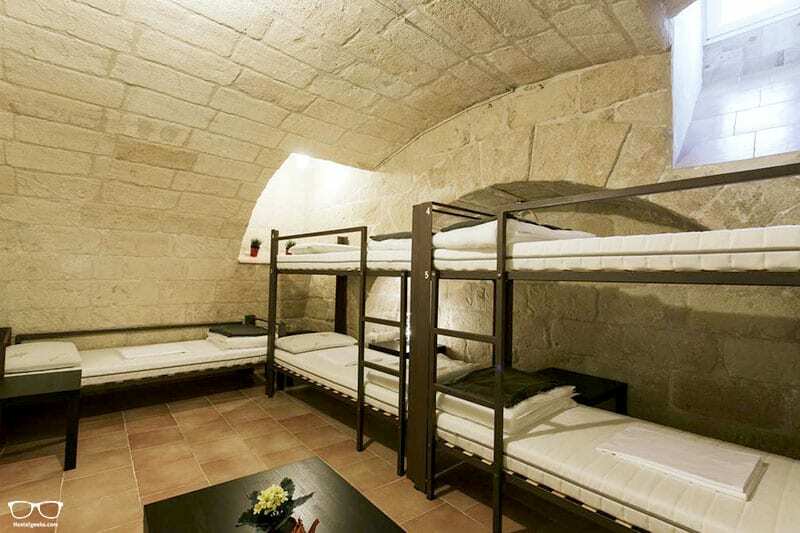 This place has a 24 room boutique structure, made up of private double rooms and shared triple rooms. Wi-Fi works here as well as the rest of the hostel. You’ll absolutely love the rooftop and courtyard area. It’s so perfectly Italian. Located in the heart of Rome, just 300 meters from the main sight Santa Maria Maggiore church, you’ll find the New Generation Hostel. 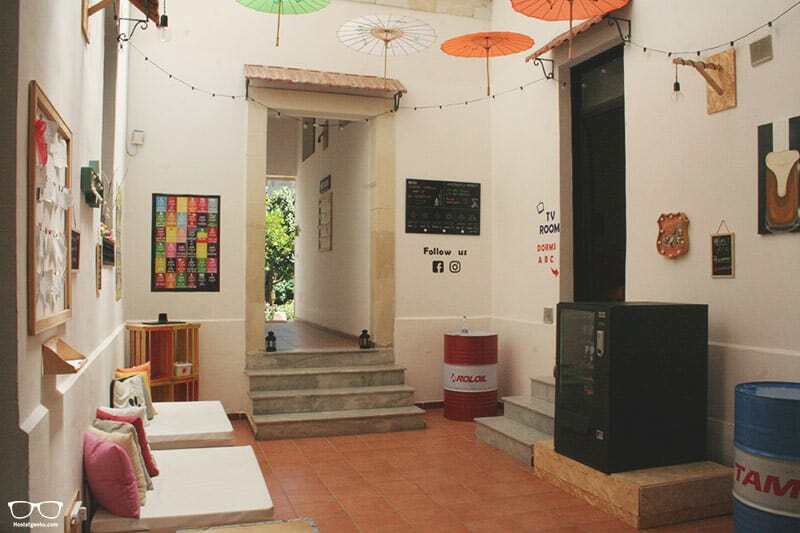 This hostel has an inside garden, resto-bar, TV lounge and a fully furnished shared kitchen. Wi-Fi spreads around the entire property, and there is a fridge and orthopedic mattresses in the rooms. 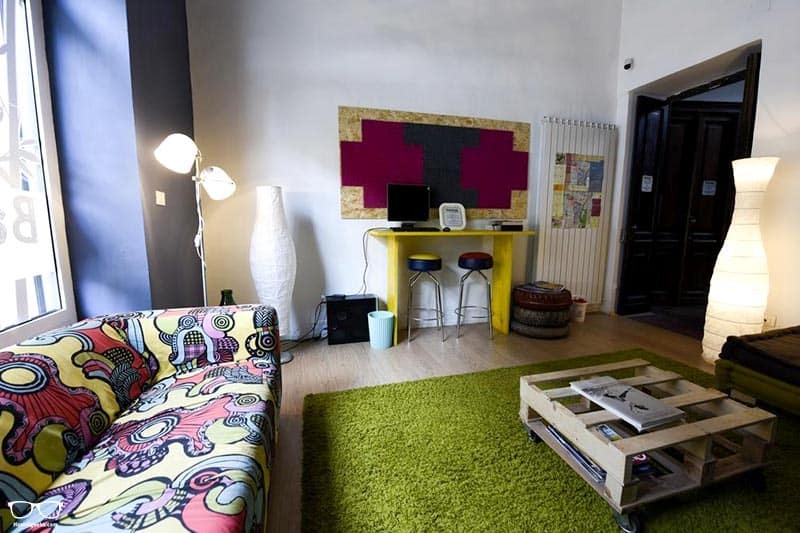 Here we have a boutique hostel designed by young people who live in and love Naples. It’s a top choice for those that want to live like a local. To really get to know Italy’s food and drink; head to the restaurant and bar. If you show off your talents on the piano you’ll get a free drink! In the dorms you can enjoy black-out curtains, free linen and your own locker. Via Toledo, one of Naples’ main shopping streets, is within 5-minutes from the hostel. From here the metro is a 5-minute walk, connecting you to all the cities wonders. The gorgeous Certosa di San Marino is 25-minutes by foot. 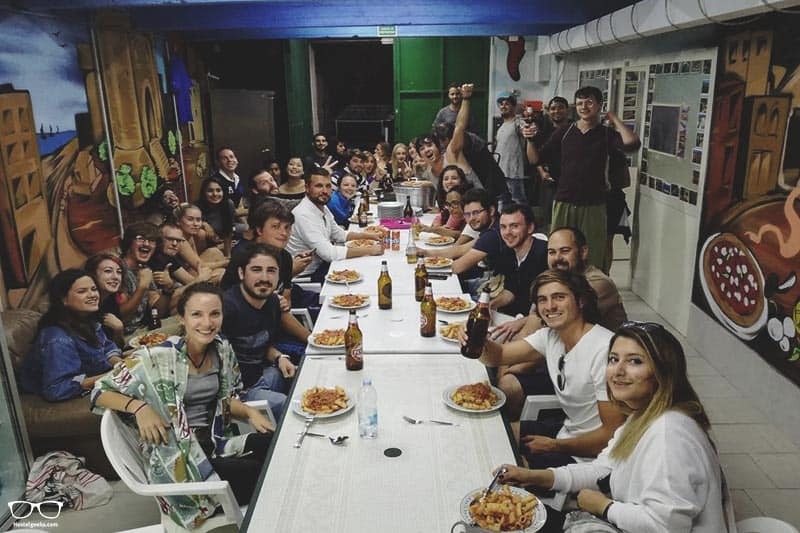 If you want to be slap bang in the liveliest district in Naples, look no further than Naples Experience Backpackers Hostel. There are daily tours to nearby attractions, as well as to places such as Pompeii and Vesuvius. What a great way to meet new friends! Enjoy a family dinner in the evenings before heading out into town. FYI, this hostel is pet friendly and ideal for those with bicycles and motorbikes as there is ample parking space. Sometimes it’s nice to have everything you need under one roof at an affordable price. Hostel of the Sun offers just that for the budget conscious traveller. The breakfast is free, there’s a kitchen to cook and there’s a bar with reasonable priced drinks. The Wi-Fi is free and everything is so close you won’t need to spend any extra coins on transport once you’re there. You’ll enjoy the cosy rooms, too which come with linen, reading light and air-con. Expect nothing less than simple design and bright, spacious rooms at Ostello Dei Sassi Comfort. This one is located in the old tuff quarters of Matera, a Unesco World Heritage city. It’s an easy walk to all of the main sites, and a good spot to soak up the nightlife and cafe culture nearby. Breakfast is not included, but linen and large lockers are. 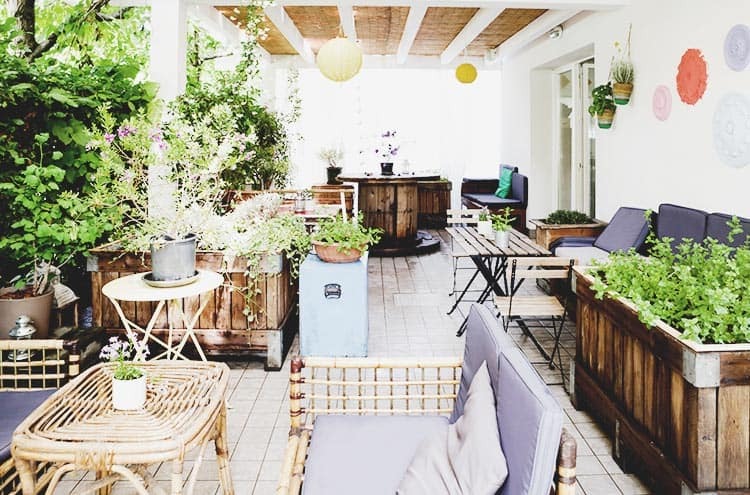 If relaxing under fruit trees in the courtyard after an exciting walking tour sounds like your kind of thing, look no further than Urban Oasis Hostel. Couples will love the modern private rooms, some of which come with full-length windows. 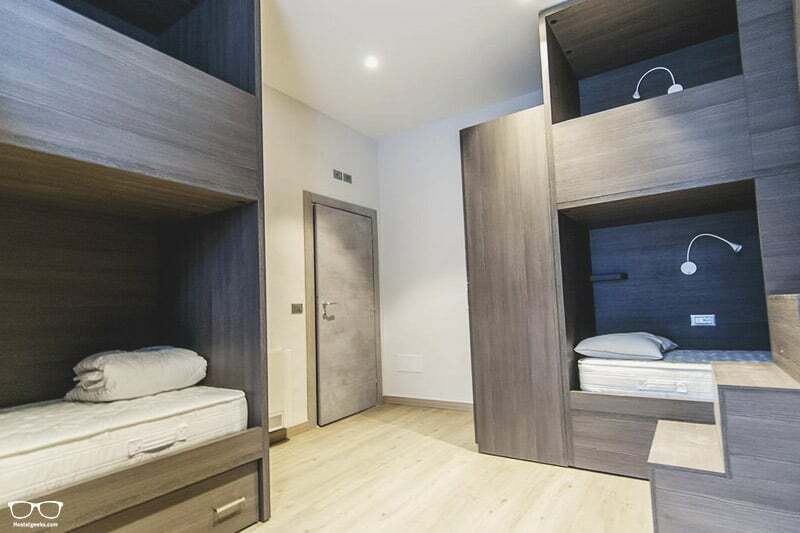 The mixed dorms come with 4, 5 and 6 beds – not too big, yet still sociable. Make yourself at home in the chill-out lounge with TV and fast Wi-Fi connection. There’s also a fully-fitted kitchen for use. 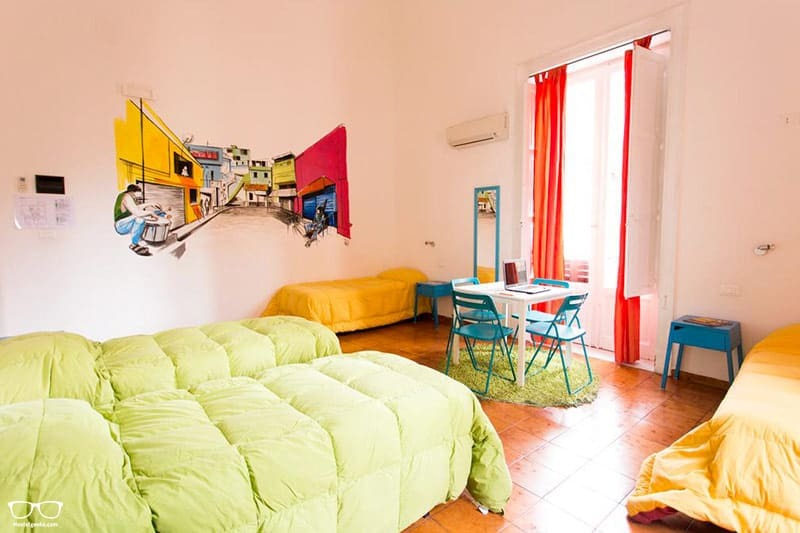 The stunning A Casa di Amici is not only a boutique hostel, but a contemporary art museum. They exhibit collections of sculptures and paintings belonging to the Vitale family. More than just a bed, join in a cooking class, drum circle and parties organised by the staff. Their on-site bar and reception are open until midnight every day. The bar is actually on a terrace where smoking is also permitted. Timbuktu is the only hostel in this area of Italy, and my-my is it a good one. The fisherman town of San Vito lo Capo is just 12-minutes away, where local markets and a big church can be visited. This hostel uses solar panels to heat the water and almost all of the wood is recycled. Enjoy a rooftop terrace, living room, kitchen and citrus garden. The sea and mountain views from the terrace are awesome! Feel instantly at home as you’re welcome with a drink at Eco Hostel. The reception is open 24-hours so you’ll never miss out. Capsule beds w/ roll-up blind – fancy! 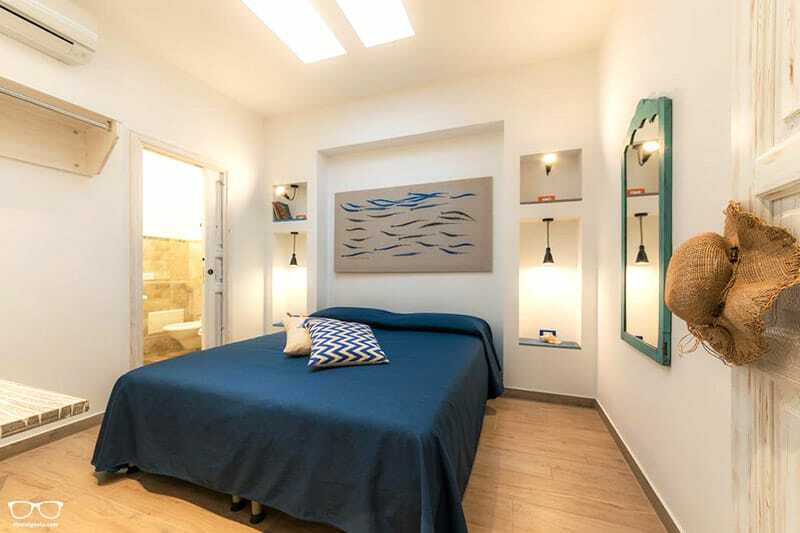 Ideally located right in the centre of Catania, you’re only a short walk from the fish market and Piazza Duomo. 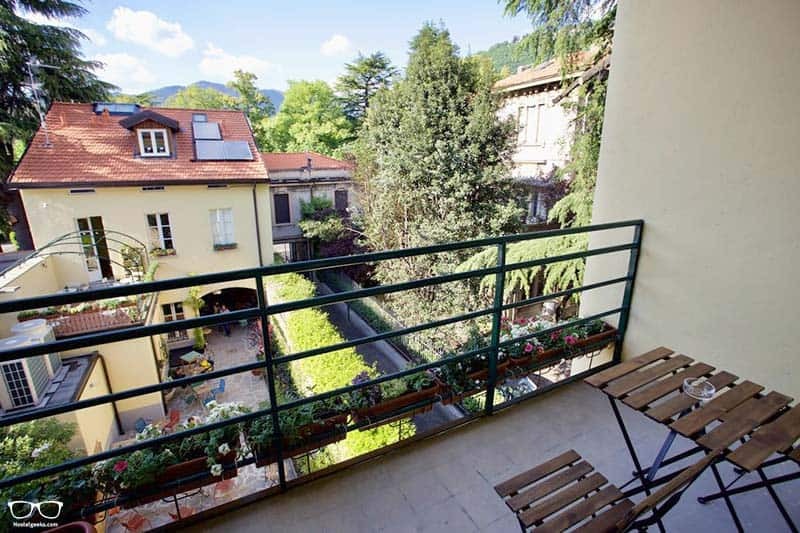 Located on the 2nd floor of an iconic palace from the 17th century, boasting high ceilings with frescos, floor-to-ceiling glass doors opening onto balconies that overlook busy Via Etnea and Piazza Università, the design of Ostello degli Elefanti is certainly unique. It also boats a rooftop terrace with breathtaking views of Mount Etna and the historic center. 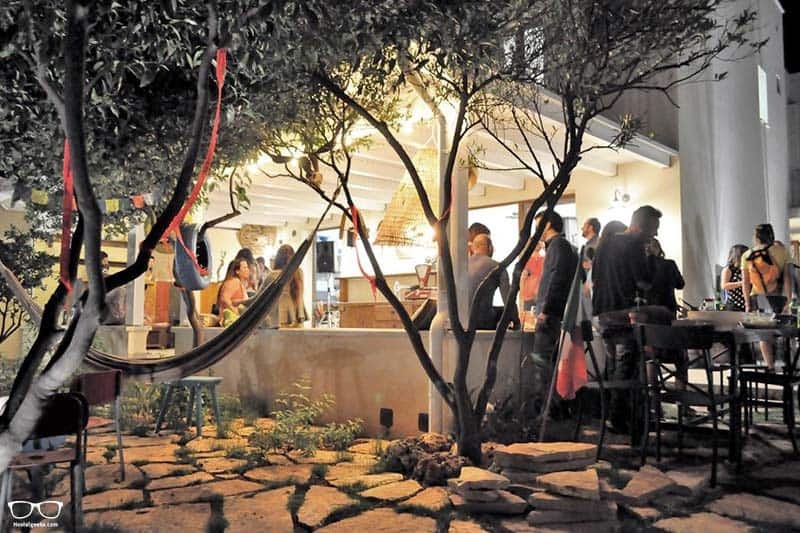 Its extremely popular outdoor bar, open from April to November, is a hot spot among locals. Between Piazza Duomo and Piazza Università, the two main squares of the city, right in the heart of the historic center. It doesn’t get more central than this! Everything around here can be explored on foot, and the hostel offers two free bikes for longer tours. 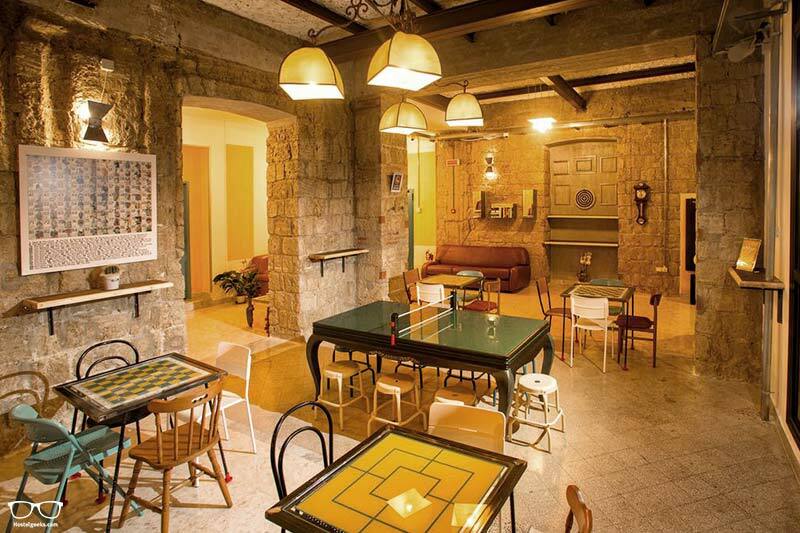 Granted, LoL Hostel Siracusa is the only hostel in this city, but it’s still Hostelgeeks worthy. 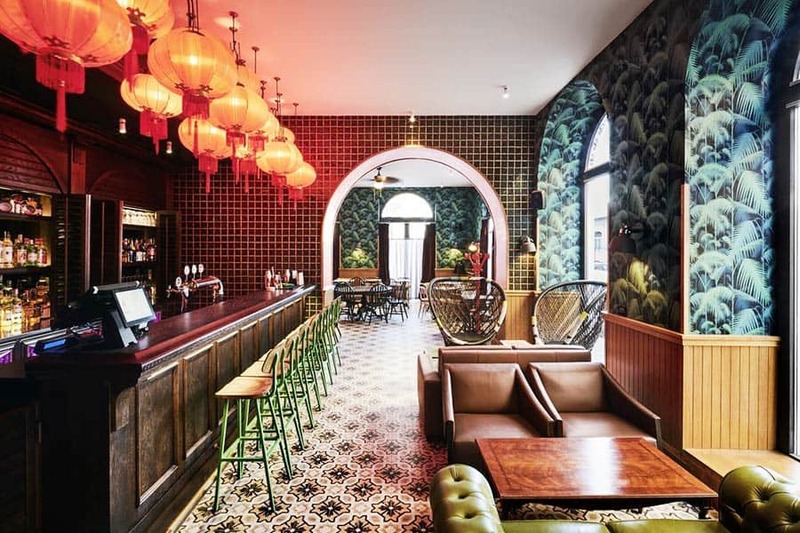 It’s located in a 19th century building, renovated with lovely modern techniques. Enjoy a freshly baked croissant each morning in the large private garden. There’s also a bar, 24-hour reception and a fully-fitted kitchen. SanVito Hostel is a great option for female solo travellers (there are female dorms) and sociable butterflies (option to join local treks). The terrace has to be the best spot in the hostel. It has ample space to socialise and great views over the city. Breakfast is included and there are nearby restaurants and bars so you needn’t worry too much about making time to prepare dinner. With a short bus ride it’s possible to enjoy the day lazing on Marina di Ragusa beach. Yes please! So next up we’d like to show you our handy map pinpointing ALL the best hostels in Italy. 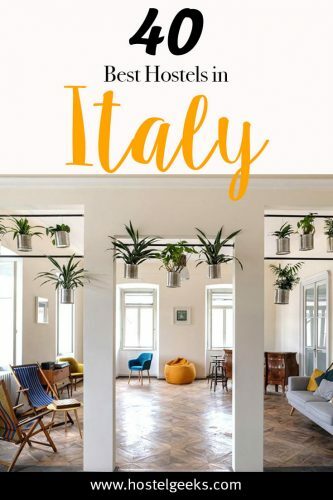 How to book Hostels in Italy? In every destination guide and hostel review we give you the options to book (Hostelgeeks does not offer a booking service). All 5 Star Hostels are cheaper when booking through the official website. We give you the direct access so you can save some travel-money. Hurray! Read our guide on how to book hostels (with websites to use). 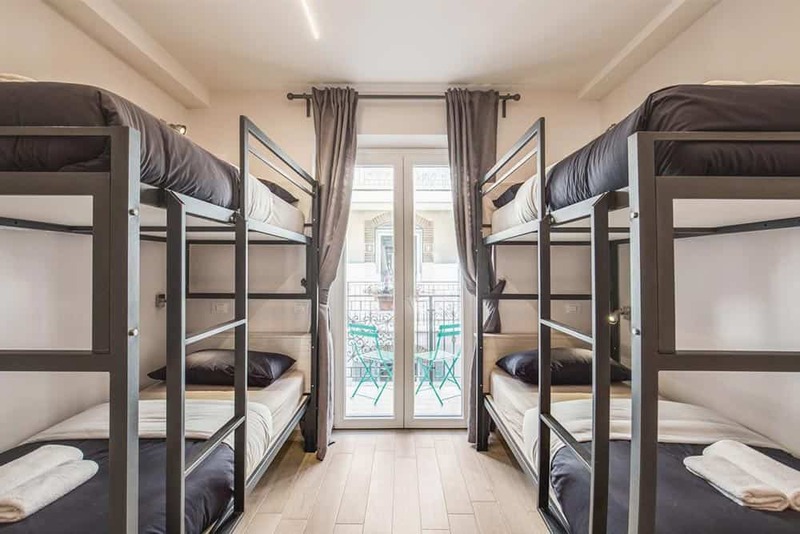 We also wrote a guide how to use Hostelworld for booking hostels. Do you fancy a discount? C’mon, who doesn’t?! You can find all our valid discount for hostels here. Subscribe to our newsletter to receive exclusive promo codes we only share via email. 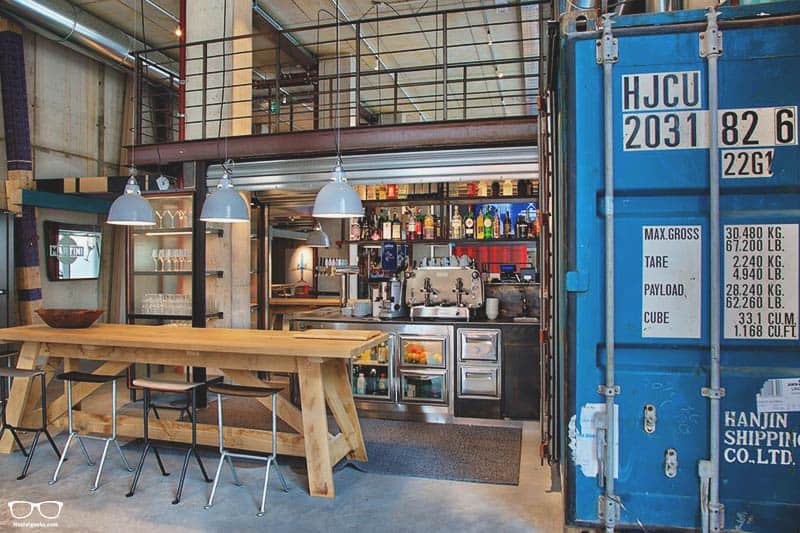 We unbox the hostels and check all their pros and cons. For each destination, there can be only 1 hostel a 5 Star-Awarded Hostel. This is your shortcut to your hostel-picks, saving you lots of time in your accommodation research. Update: We now cover as well curated 3-best hostels guides to cities like Paris, Barcelona, and Prague.